Apr 21, 2019 - Your cup of energy doth runneth over today, Aries, and you can expect the kind of day where you are literally bouncing up and down in your seat. All day. The Moon in a fellow Fire Sign might be the reason. You have big ideas today, and all of the energy to enjoy them, you just won’t be sure today how to make the connection between ideas and seeing them through. Just take baby steps, Aries. The Sagittarius Moon in your ninth house of big visions has you thinking big as well. We are officially in the last day of the Full Moon zone, so these big ideas you have today are even more important. What big ideas do you have today? What does 2019 have in store for you? Talk with an expert psychic now to find out! Apr 20, 2019 - There's a warning alert to your day, Aries, with a Scorpio Moon and secrets in the forecast. When Scorpio Moon is in the house, especially in your house of secrets, this is not the day to play games. There's a situation brewing today that could test this. So there is really no point in being anything but honest here, and it all starts with your Self. Just play by the line or that Scorpio Moon will make the call for you. It’s the kind of day where confusion leads to an argument that leads to someone saying something they’ve been holding back a while. Proceed with caution, Aries! Where will this work for you today, Aries? 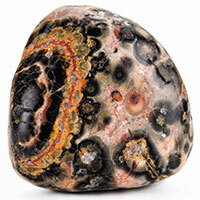 Want to learn more about crystals and gemstones? Let us help you! Which Zodiac Sign Will Your Soul Mate Be? Enter your email address below to receive your daily horoscope directly to your inbox. Your email will be used to send you your free astrological reading, along with ongoing communications regarding your zodiac sign.